A zillion albums, a carousel of band members, enough costumes to make the Village People green with envy later and finally Parliament came up with a central thesis. “We want the funk.” No one said it needed to be complex. 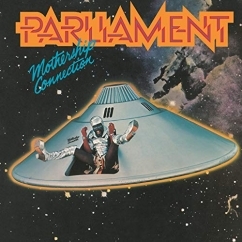 Outside of Maggot Brain, Mothership Connection might be the collective’s longest lasting monument. George Clinton’s ever-revolving staging, make-up and general peacockery that would make Liberace blush came to its logical conclusion: firing his full band into the solar system. “We had put black people in situations nobody ever thought they would be in, like the White House. I figured another place you wouldn’t think black people would be was in outer space,” said Clinton. 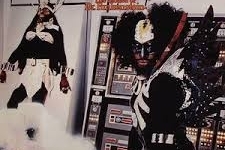 It’s a subtly political action, and with our modern conversation over diversity vs tokenism in media, it’s important to remember Funkadelic-Parliament had black kids believing they could be astronauts, super heroes and heads of states back in the ‘70s. But not much of Mothership Connection directly deals with that topic. Instead, it’s far more concerned with a vibe. In comparison to the nearly too tight Let’s Take It to the Stage, Mothership Connection is all groove. Choruses ride out to delirious lengths, extended horn breaks are the norm and we open with a nearly 8-minute screed on taking to the furthest reaches of space and colonizing through the power of the low end. Adding to the luxurious feeling were Maceo Parker and Fred Wesley who Clinton had nabbed from James Brown’s band. The men who had given the punch to “Say It Loud, I’m Black and I’m Proud” were told to infinitely relax. Their horns were spicier, but more laidback. 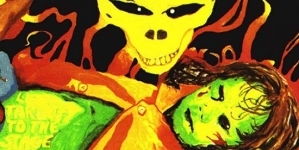 When our narrator grins through “If you got faults, defects or shortcomings…/ I want you to lay it on your radio/ Let the vibes flow through/ Funk not only moves, it can remove, dig?” it’s those horns that the healing power flows through. The pure sunshine of “Star Child (Mothership Connection)” is completely riding on that glorious horn line. Despite Clinton’s pervy moniker for the brass, they were more joyful than horny on Mothership Connection. If Let’s Take It to the Stage was P-Funk’s attempt to take over the rock charts, Mothership Connection was the collective realizing it wasn’t worth their time. The lounging tempos, repetitive-until-hypnotizing bridges, all of it was a direct rejection of what they had been trying to latch onto. And, as with everything in the history if P-Funk, they were better off blazing their own trail. 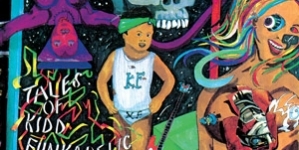 Rolling Stone called it a “parody of modern funk” and Robert Christgau seemed equally bewildered, but they were already behind the times. This couldn’t be a parody, as most funk after Mothership Connection treated it as a foundational document. Of course, the UN of Funk just seemed to be having fun, rather than consciously changing the landscape of dance music. The premise might have been Sun Ra with an eye for the charts, but “Unfunky UFO” would have danced every other single off the charts with or without a galactic edge. And “Handcuffs” is a simple ode to lust, but is infused with an unending earworm chorus and those horny horns living up to their name. And though “Give Up the Funk (Tear the Roof Off the Sucker)” might be too deeply tied to any number of hooky commercials or a legendary Mighty Boosh skit, it’s still undeniable. Ray Davis gave the iconic rumble of “mothersucker!” to kick things off and when “Give Up the Funk” went gold a year later, that bass cemented itself in pop culture lore. And “Give Up the Funk” wasn’t the only radio winner. Mothership Connection would go gold and later platinum and in 2011, the Library of Congress added the album to the National Recording Registry, presumably saying something very stiff and deeply unfunky. It’s still appreciated though. And it’s cosmically perfect that Big Boi and Andre 3000 were born in ’75. Maybe in that LSD haze, Clinton saw his spiritual successors coming and gave a wink to those pre-natal ATLiens. Mothership was loose, improvisational, even meandering at times, but Clinton knew the vibe was all that mattered. 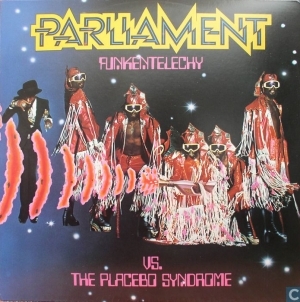 There’s no better P-Funk album to simply get lost in.